A motor warranty helps you with the unpredictability of mechanical breakdowns and high repair costs as well as protects you from poor workmanship. This usually covers most of the working parts, which includes air conditioner, transmission, cooling system, electrical parts and engine of your vehicle and 4x4. A warranty isn’t a maintenance policy but is an “assurance” in the event of mechanical failure. The motor warranty offers financial peace of mind which pays for expensive breakdowns and repairs, as well as retails parts and the labour to repair the mechanical and electrical breakdowns. It also pays for up to 50% towards wear and tear on covered parts and components depending on the warranty that you decide to go with. If you own a car there is a high chance that you will need a Motor Warranty. 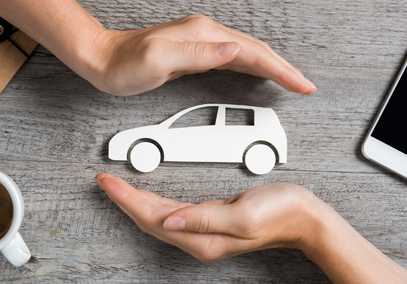 Vehicle and car insurance is essentially a contract in which an insurance company assumes financial responsibility for any loss the insured may incur. This includes theft and any damage to the insured party’s vehicle. What do you need to know when getting car insurance? Do your research and shop around. Get a few comparative quotes. Don’t make your decision purely on the premiums that you get offered – make sure that you are aware of any hidden costs, such as additional excesses. Always take into consideration the reputation of the insurer for their service, price and claim processes and settlement turnaround times. Take your time discussing the insurance policy with the insurer or broker and make sure you understand the policy. It is important to make sure that you buy insurance from a reputable company if it’s not a reputable company you may find yourself in a situation where your cover is not worth the paper it is written on when you make your claim. Make sure that you know exactly what you are getting out of your insurance. You may pay your insurer for years or even decades and you need to make sure that you are sure that you are covered when these circumstances arise and what you will gain from the cover. Stick to the promise that you make with your insurer. When you buy insurance you give your insurer all your personal information such as your habits as well as the way in which you will be using the insured items. If you give the insurer the wrong information even if it is slightly wrong there is the potential that the insurer’s promise won’t hold up. The insurer will pay you what is due and what was agreed upon when signing your documents when you first apply for the insurance.